Jim Cotton and Ali Emadi earned grants from the Natural Sciences and Engineering Research Council of Canada (NSERC) and the Ministry of Research and Innovation and Science (MRIS) through the TargetGHG program administered by Ontario Centres of Excellence (OCE) to address Ontario’s 2020-2030 greenhouse gas emission (GHG) targets. 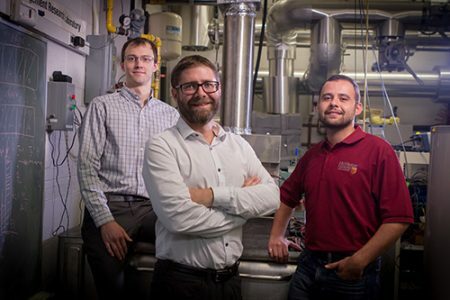 The $2.7M in funding that Cotton received through government and industry partnerships will support his leading energy system research that combines thermal and electrical energy technologies to harvest waste heat, improve energy efficiency and reduce GHG emissions. The system powers, heats and cools areas in communities with intense energy demands such as big block stores and condominium complexes. The systems store waste heat in the summer and combine it with smart electrification of heating with heat pumps and thermal storage techniques. By integrating thermal and electrical energy, the amount of natural gas normally needed to heat and power buildings is reduced, which in turn, decreases GHG emissions. Working with Carleton University and 17 energy industry partners on the project, including HCE Energy Inc., GridSmartCity, GeoSource Energy Inc., S2E Technologies Inc. and Siemens Canada Limited, Cotton and his research team will also develop predictive controls that use weather and energy market forecasts with previous performance data to optimize the system. 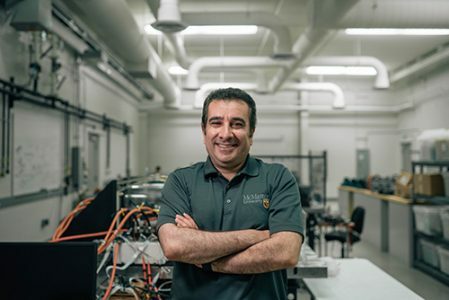 Emadi, a Canada Excellence Research Chair in Hybrid Powertrain, is internationally recognized for his expertise in transportation electrification and smart mobility. Emadi, who received $2.5M from NSERC, OCE and industry partner Sevcon, will develop advanced motor control technologies for emerging and existing electric vehicles. 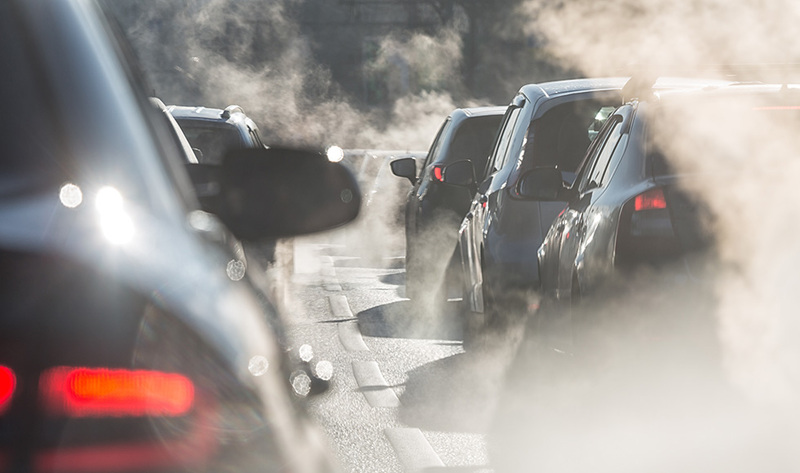 Emadi and his research team will work with industry partner Sevcon to reduce emissions, improve motor testing technologies and accelerate the time-to-market for new electrification solutions.